This dessert was named after Mercedes's arm, which is the literal meaning of its name. I don't know the real origin of this dessert but the name and the use of a lot of egg yolks suggests that it probably is of Hispanic roots. 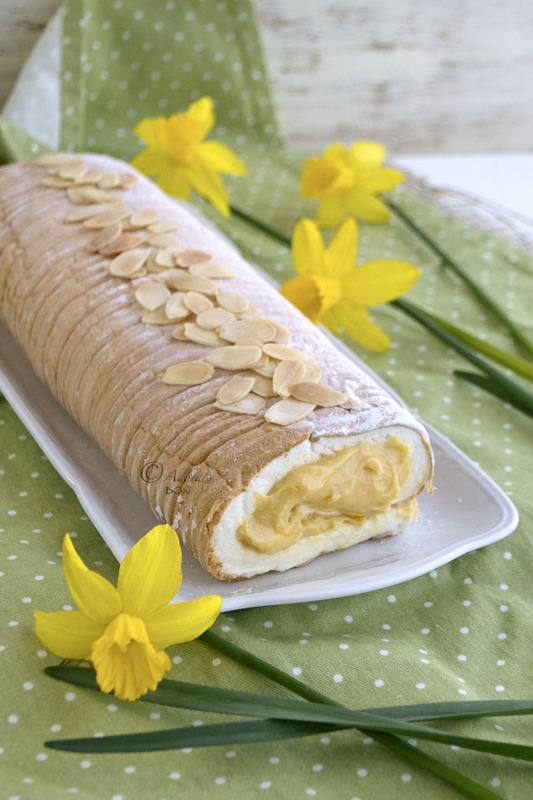 It is a Filipino favourite but is not dissimilar to the Spanish brazo de gitano (gypsy's arm) which is a Swiss roll type dessert. 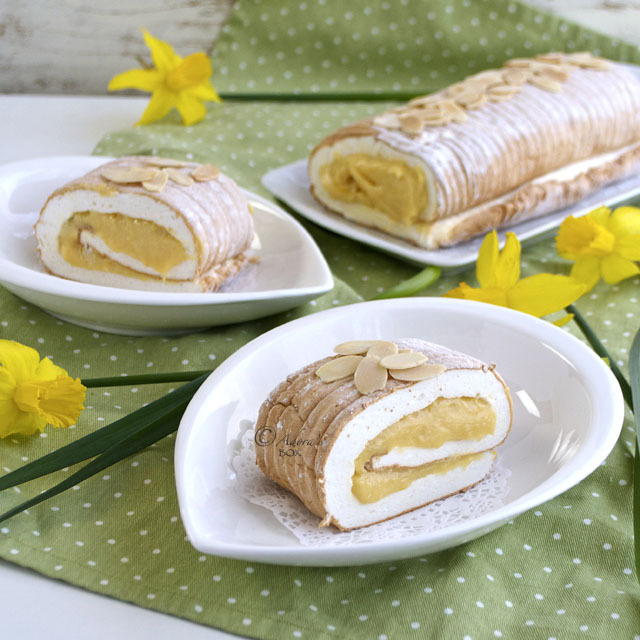 It has the components of the Spanish canonigo and French Ile Flottante which are meringue islands floating in custard but in a jelly roll form. I can only assume that Mercedes was not a dainty woman, judging by the size of her arm. If she was the one who made this recipe, whisking so many egg whites by hand could have made her so. One thing I'm sure of is that she is a sweet lady to have such a dessert named after her. 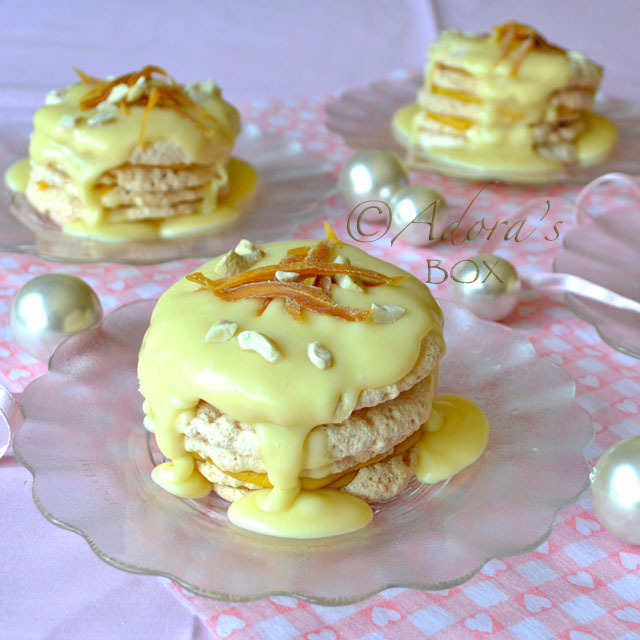 This dessert has been a firm favourite of mine because it is so simple yet so delicious. The main ingredient is eggs. The whites are made into a soft meringue roll. 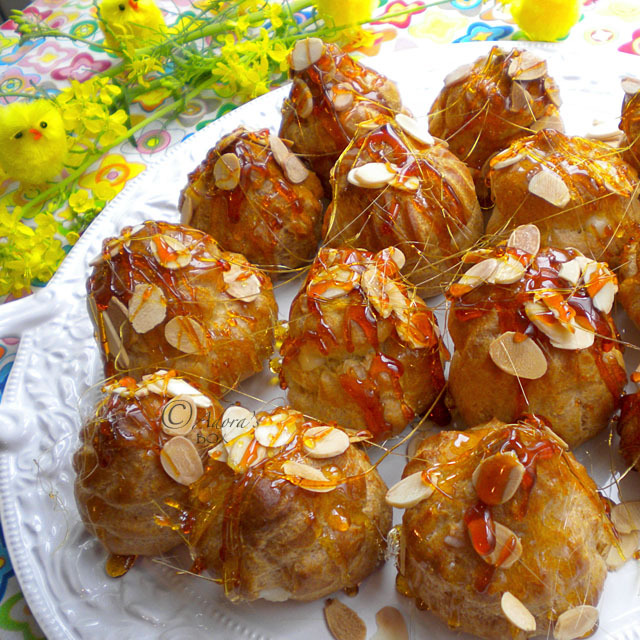 The egg yolks go into a rich, thick custard filling. Both the roll and filling are highly scented with vanilla. I added some lemon zest to the filling for a shot of freshness and that perked up the flavour even more. 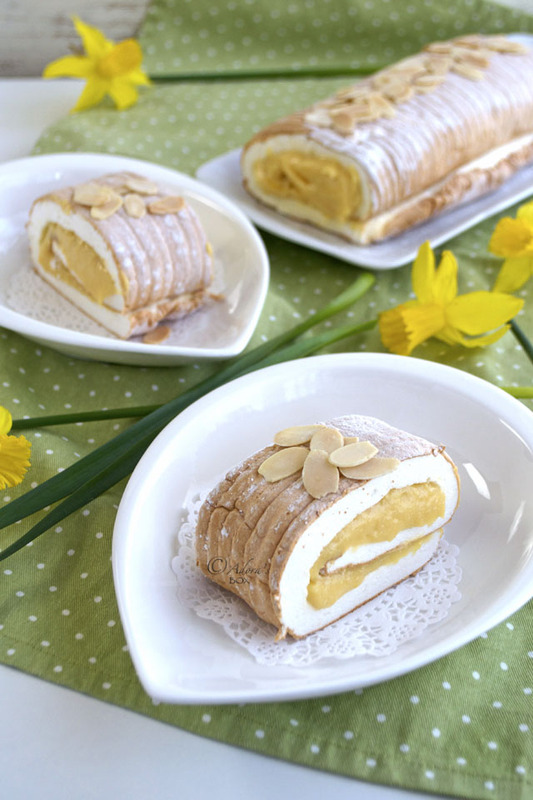 The texture of the roll is almost cloud-like and the filling is soft and creamy. This rich yet light dessert will leave you yearning for more. I had to try a few recipes before, after a number of changes, I finally decided that this is the one that is perfectly right for me. The meringue roll is simple and straight forward to make. 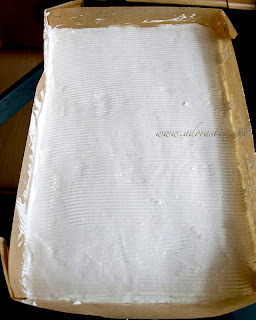 It is the filling that has to be of the right consistency so that it holds even when sliced. Most used recipes only used condensed milk and egg yolks for the filling. By the time it thickened to the right consistency, the milk has reduced by so much that the taste is over sweet. 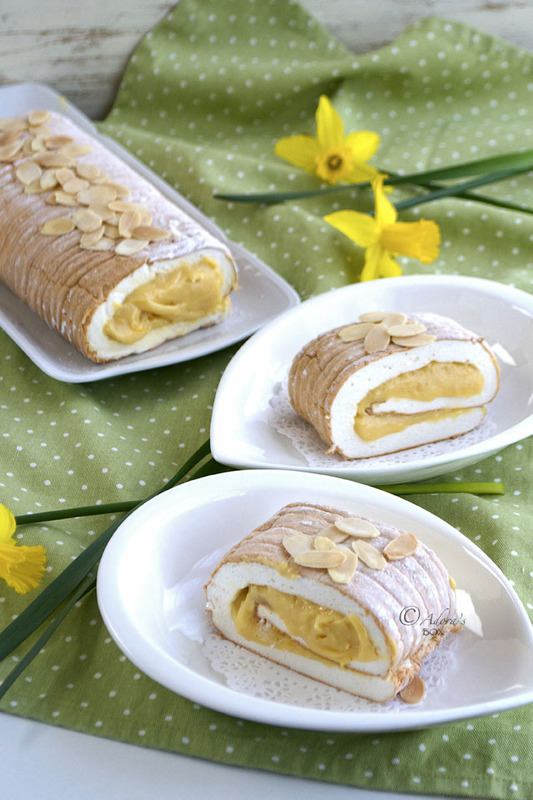 I came across an old recipe for a similar dessert called brazo dela reyna (the queen's arm) which adds fresh milk and cashews to the egg yolks. I took the easy way out by using evaporated milk, instead of reducing the milk, and added ground almonds to the custard. A small amount of condensed milk added the right level of sweetness. This is just the right texture and taste for my liking. 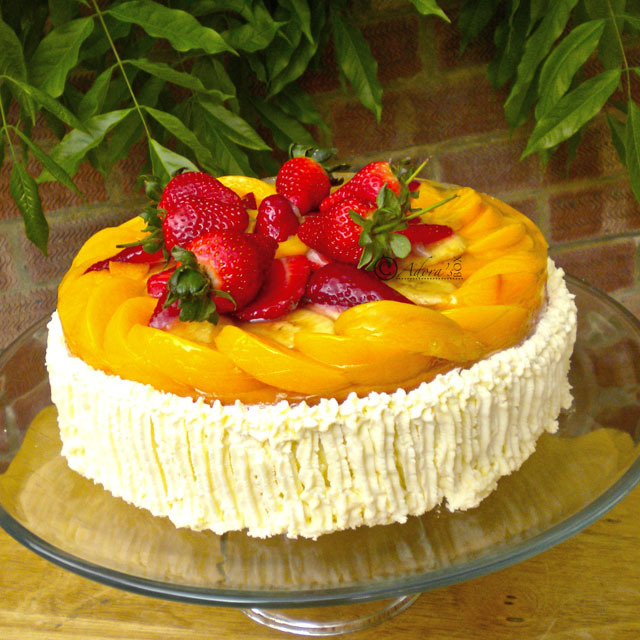 Having electricity plus a mixer available, I found this dessert very easy to make. TIP: Separate your eggs in small bowl separately so that if you accidentally break the yolk, you don't taint the whole bowl of whites. Put the egg yolks and the two kinds of milk in a double boiler or heavy saucepan. Sift the ground almonds and cashew over the mixture and blend in. Cook on gentle heat while stirring constantly until the mixture is very thick/ of spreadable consistency. Scrape the custard off the sides of the pan from time to time. 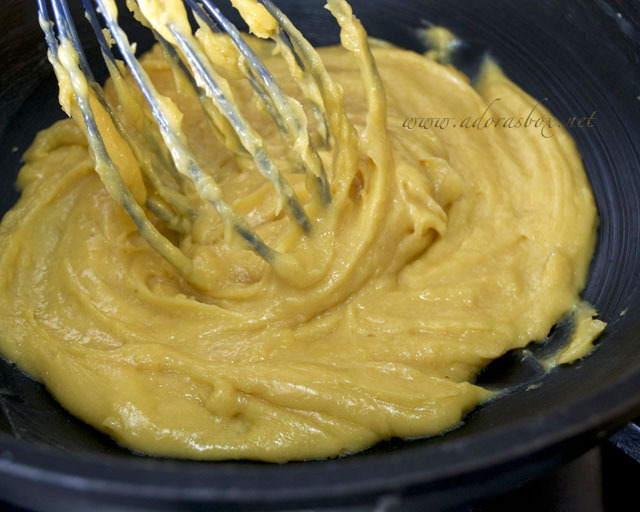 When the custard is thick enough, it will stick to the whisk. Add the vanilla and butter. Stir, then take off the heat. 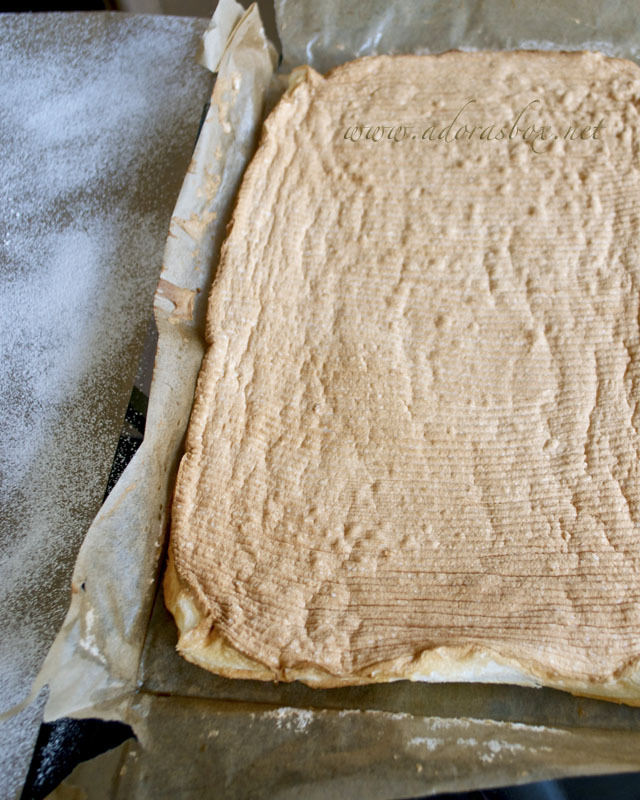 Place a sheet of baking paper on the surface to prevent skin from forming. Set aside while you prepare the meringue roll. Pre-heat the oven to 340° F/170° C.
Line a 15" x 10" baking tray with baking paper, making sure that the paper is higher than the sides. Grease this liberally or spray with a non-stick baking spray. Whip the egg whites with the cream of tartar on high speed until soft peaks form. Add the sugar gradually while still whisking until stiff but not dry. Spread the mixture in the prepared pan. Tap the tray sharply on a hard surface to expel large air bubbles. Level the top with a spatula. 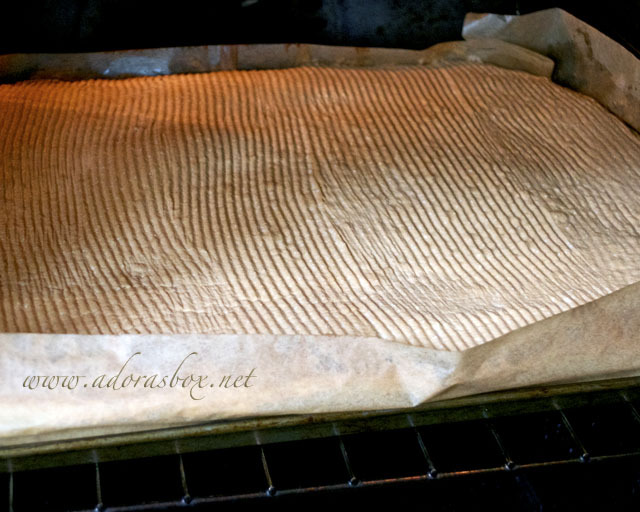 You can use a zigzag icing comb to create patterns on the surface. Bake for 20-30 minutes until golden brown. It puffs up when baked but deflates a little once out of the oven. 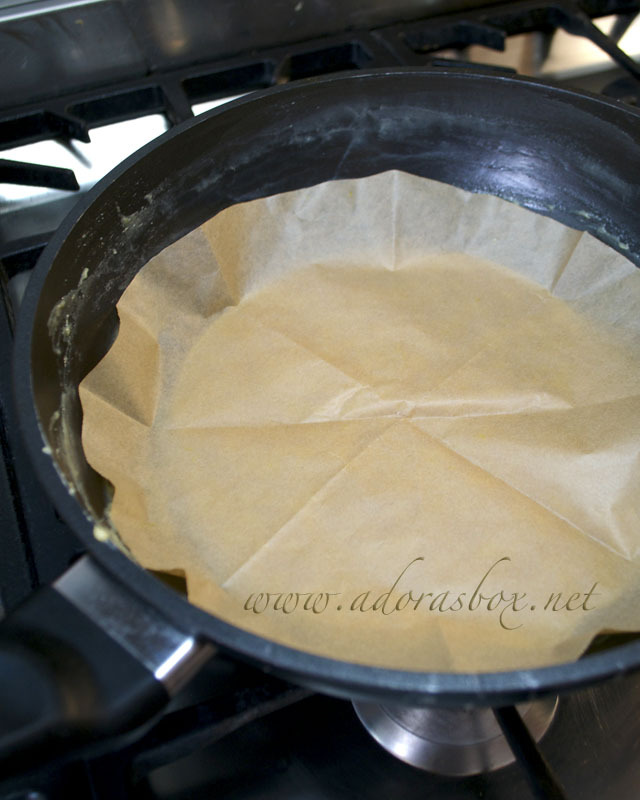 While the meringue is baking, prepare a sheet of baking paper that is bigger than the pan and sift confectioner's sugar over it. 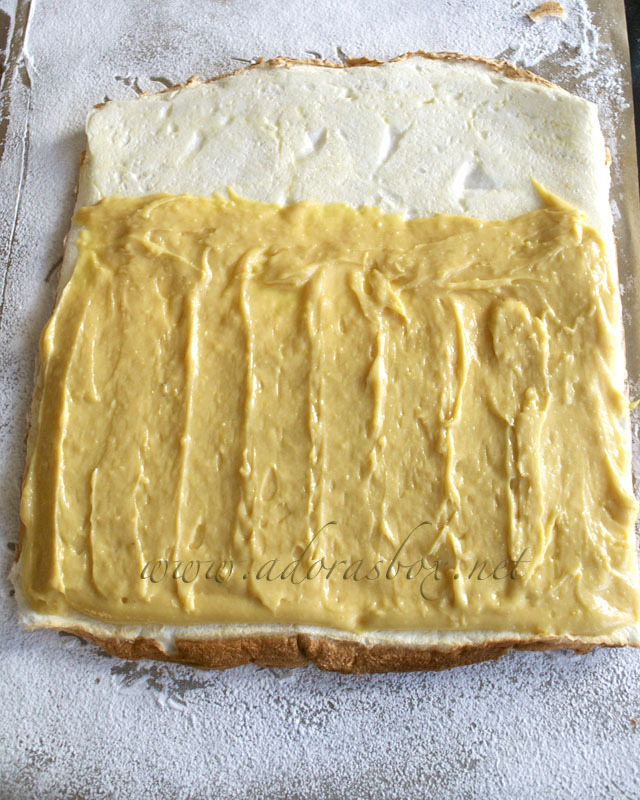 Turn the baked meringue over this and peel off the backing paper. Spread the filling evenly on three quarters of the meringue and roll tightly like a jelly roll, starting from the filled side. Wow what a beautiful cake, it does remind me of swiss roll but much prettier! 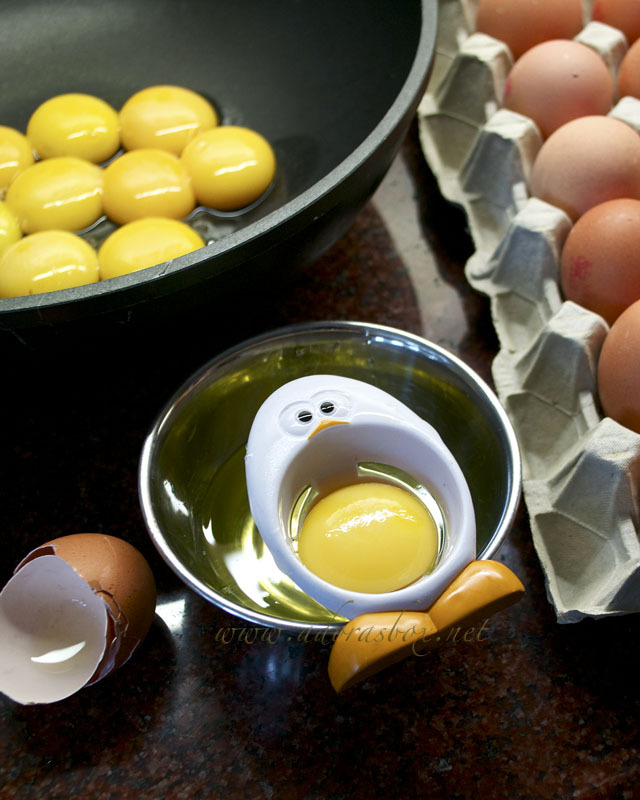 I like your egg separator, so cute! Hi Adora! Beautiful shots as usual! BTW.. LOL at Chef and Sommeliers comment above!! Hilarious! 10 egg yolks!!! Must be delicious. I enjoyed looking at how you made this into rolls. It's my dream to make roll cake, but... I need more practice for basic baking. Heehee. Hi Angel! The top browns as it cooks. The oven probably was not hot enough. Ovens differ in temperature despite the settings. Invest in a separate oven thermometer to check. The filling recipe sounds yummy! I will give this a go. Just one question though, why does the meringue tend to "weep" when exposed at room temperature for a few hours? Is there a way to prevent this? Thanks. Hello,I made this today but its a mess..my custard cured twice and my meringue while im rolling it cracks in middle.Any suggestions please coz I wanna do it again..thanks. 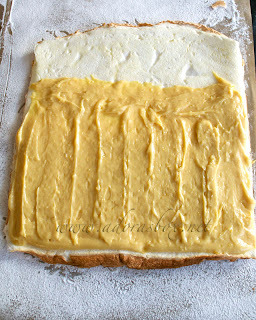 Make sure you cook the custard until thick so it doesn't ooze out of the roll. Take care in rolling the meringue. Do it slowly and be gentle. I hope you try the recipe again. hi, does the cooked meringue need to be cooled first before transferring to the baking sheet? No, you don't need to cool the meringue. Transfer it to the prepared baking paper right after taking it out of the oven.